Beat eggs until foamy in a mixing bowl at first. Stir in milk and butter now. Fold in the dry ingredients until mixed. Do not be harsh while folding the dry ingredients. Do it with light hands. 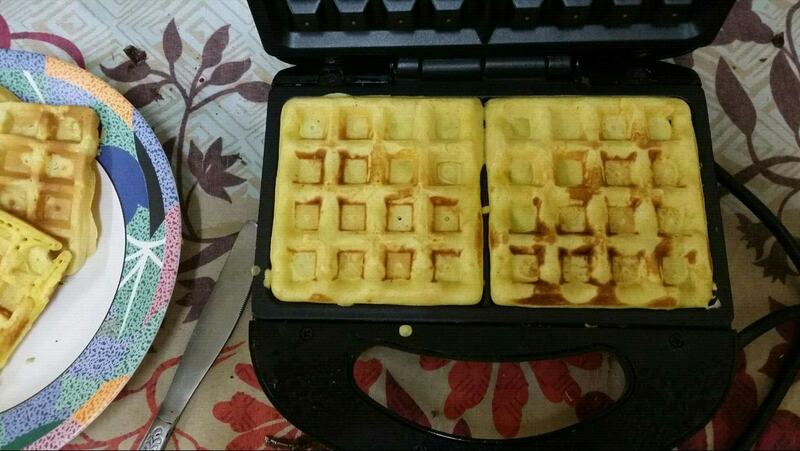 Preheat the waffle maker for a minute or more. 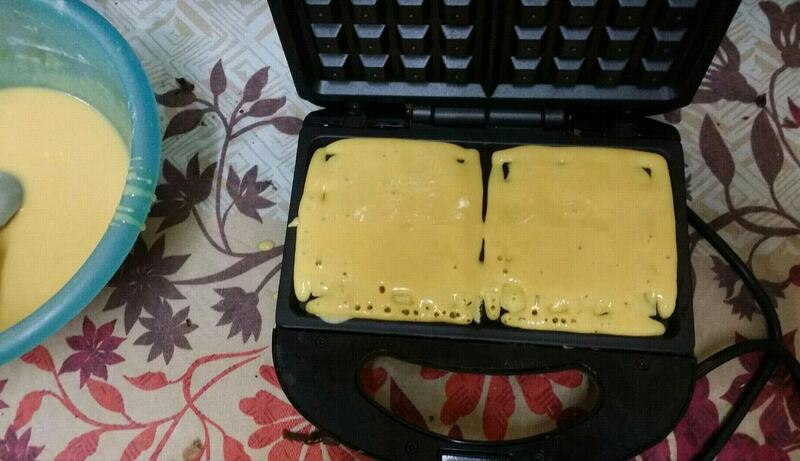 Pour 2 small icecream scoops of the batter in each depression plate of the waffle maker. Cover and cook for 2 minutes for each batch. 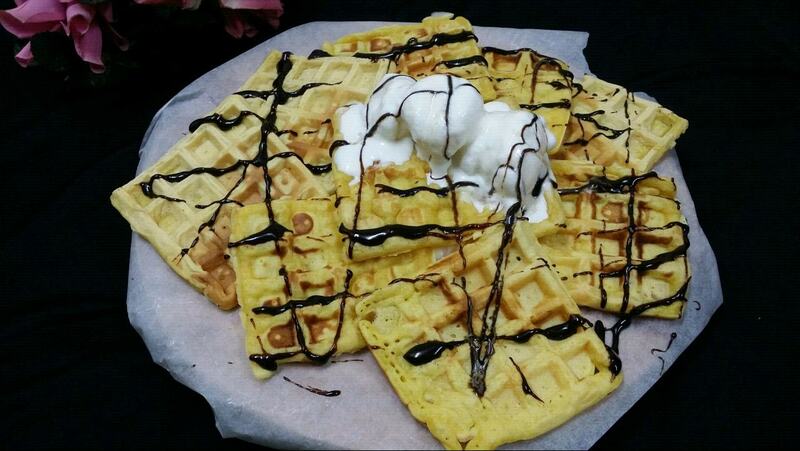 Serve these yummy custard powder flavoured waffles with chocolate sauce and a generous dollop of vanilla ice cream. 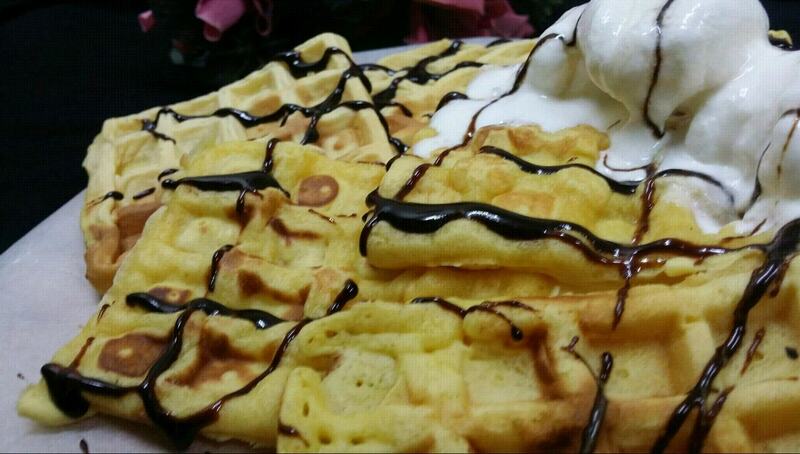 A yummy twist by me to the ever famous waffles with custard powder as one of the main ingredient. These are absolutely easy to whip up with a few most common pantry staples available in every kitchen. They not only look gorgeous but are equally fabulous in taste and texture. 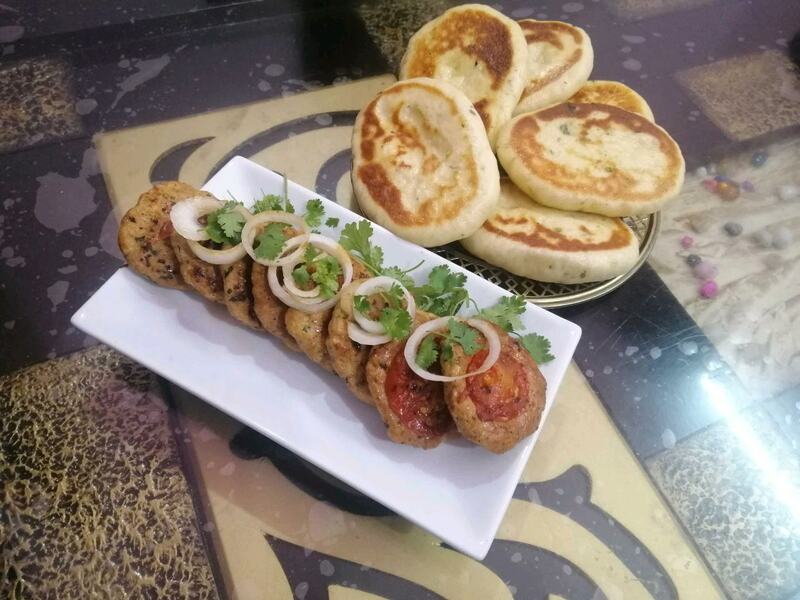 Your loved ones will like it's awesome flavour for sure and these can be an instant hit at any kids party. A delicious idea for breakfast and brunch as well as an anytime snack to dig in joyfully. Happy Waffle Making Friends!